2. Established for more than ten years, our company has got a various of experiences in design, manufacture, installation and so on. The work staffs have excellent skills. Some of them had helped customers to install the warehouse around the world. 4. 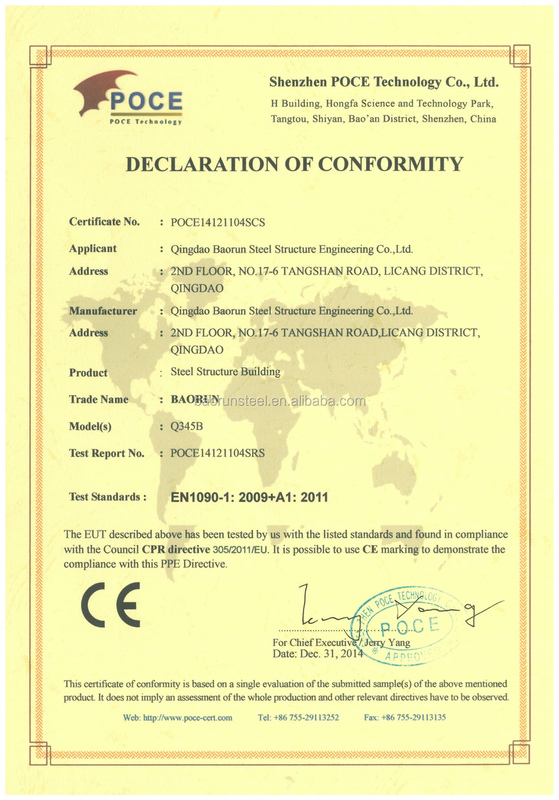 Besides manufacture according to customers' requirements, we also established a set of production standards. With perfect technique, excellent quality, reasonable price, top-grade services, we have won the favor of lots of customers at home and abroad. If you have your own drawing, just send us, we can make quotation as per your plan. If not, just send the above details for our one to one plan! 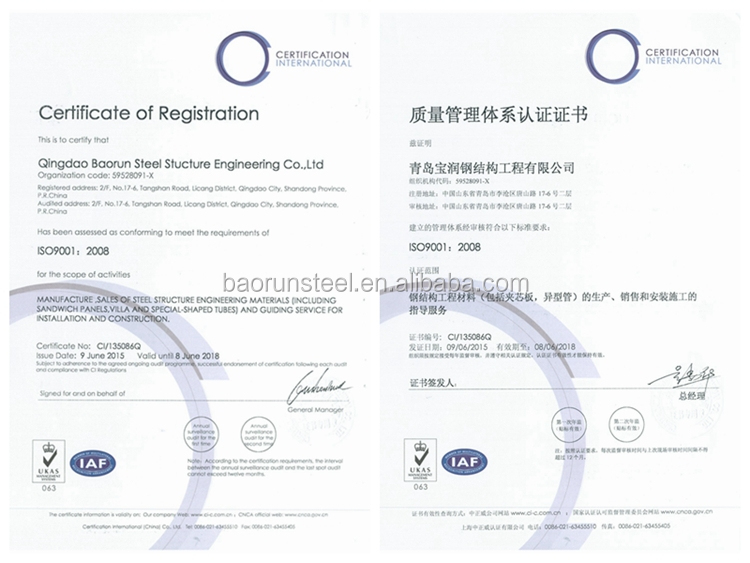 The following are photos for cases of steel structure overseas undertaken by Qingdao Baorun Steel Structure Company in past years.